Days four and five of 30 days of biking saw me riding to work and back again. I’ve continued to enjoy pedaling my little commute. There’s been a nasty wind but the sun has been out so far, so I can’t complain at all. I even saw a donkey on the way to work on Thursday – I’m not sure I’d have noticed it from the car! Today is day six of the 30 day challenge and it turned out to be another beautiful day. 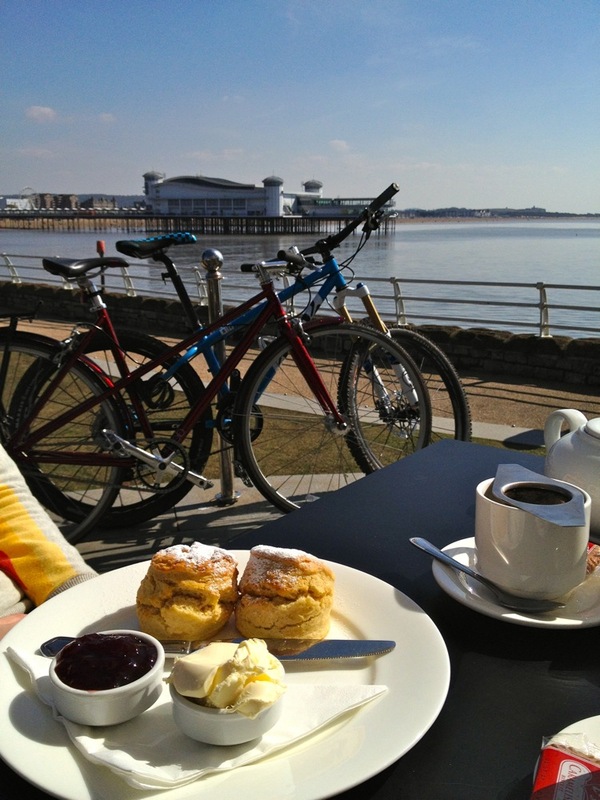 My husband and I took a ride down to the seafront in Weston-super-Mare and sat outside Dr Fox’s Tearoom, sipping tea and eating scones in the sunshine (very apt, given the title of my blog). Dr Fox’s really is a great find. We’ve been there a few times now and enjoyed their array of homemade cakes and yummy hot chocolates – they do the kind that is a lump of chocolate on a stick, which you melt into steamed milk. Highly recommended. The delicious paté is also worthy of mention. And, if you cycle there, you don’t even have to feel guilty eating it all! 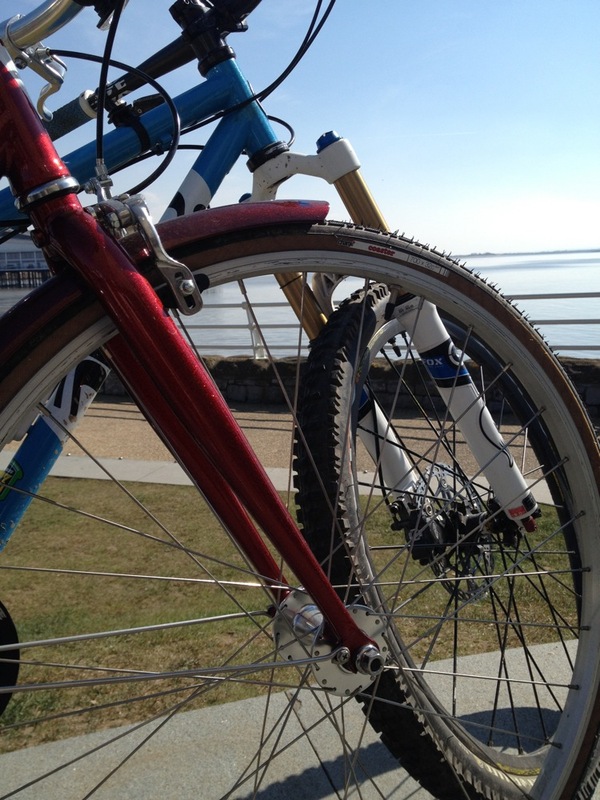 Unfortunately, there are no cycle racks, so it’s only really ok to ride to on days when sitting outside is an option. Perfect for today then! The ride was a 14km round trip, so not a biggie. I rode Ruby, my single speed, and my husband rode his Cotic hard tail. It was a nice little ride.